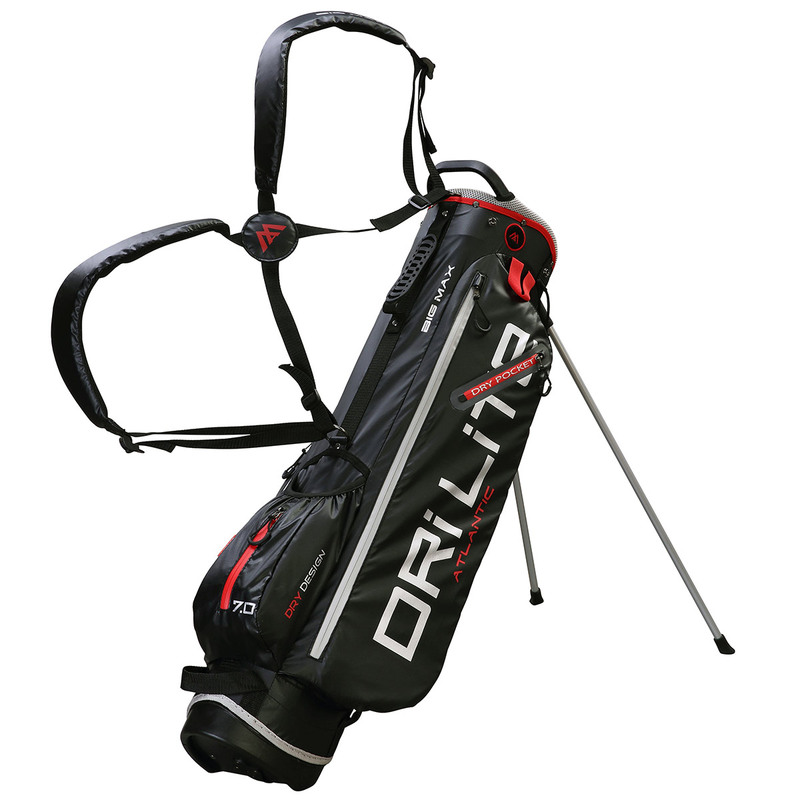 Add some extra protection to your expensive golf equipment range, with this water resistant and ultra light weight golf bag. 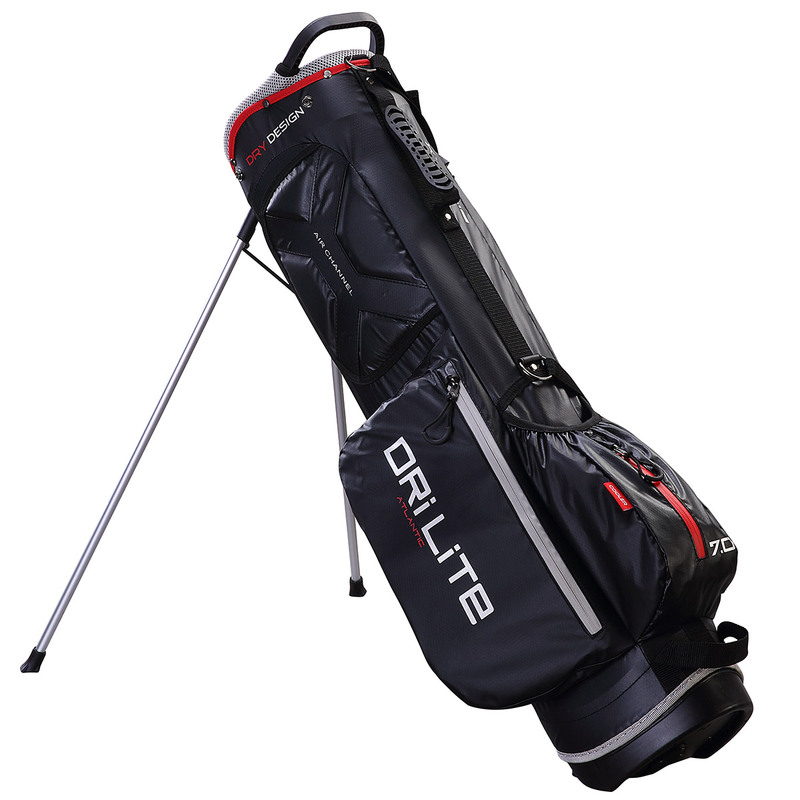 The bag has been developed with Dri LITE technology which helps your bag to stay dry longer than a standard bag, plus is ultra light, with air channel straps for a more enjoyable round of golf. Other features to assist you include an oversize 4-way top organiser, with a transport handle to make it much more easy to manoeuvrer, and has automatic stand functionality with leg locks. 4 Pockets in total help to organise all of your essentials, these include a cooler pocket, plus features a glove, towel and umbrella holder, all conveniently placed for instant access. Weight 1.7kg.